Red Nose DAY lasted a WEEK at Malvern Instruments!!! 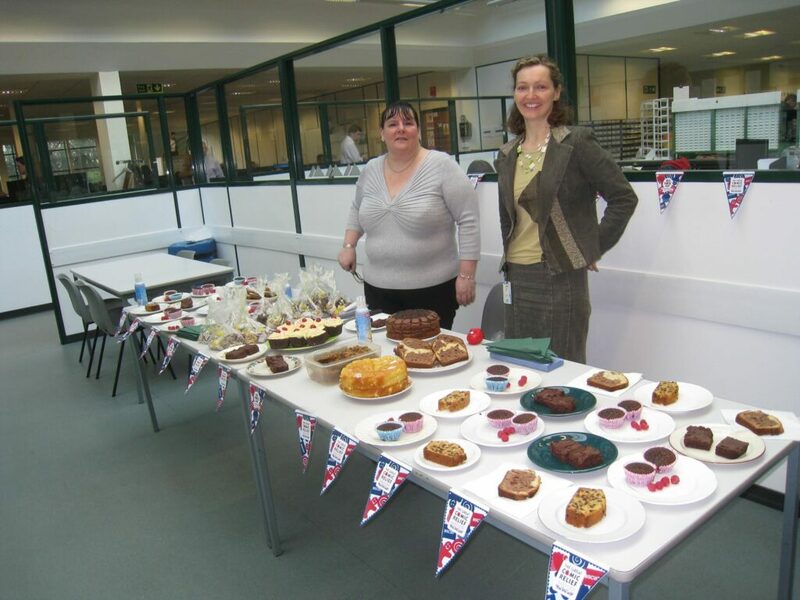 Red Nose DAY lasted a WEEK at Malvern Instruments … ! Malvern’s younger family member Luke Duffy (11 mths) assesses the properties in his Red Nose! Teams such as Malvern Maniacs, Secret Lemonade Drinkers and Tews Company, got together to think of inventive/innovative ways to raise money for Comic Relief. In addition to the cake selling and raffles with super prizes, Malvern employees excelled themselves with games such as the Pick-a-Pope Sweepstake (116 cardinals were up for grabs! ), Guess the Costume (an employee dressed in national costume) and Pin the Nose on the Director……. there was also a bidding war for the contents of one employees’ drawers! Exclusive items such as a pet travel bowl, tub of unopened coconut yoghurt and a tin of WD40 were but some of the items up for grabs. I never thought it possible, but actually heard several employees comment during the week ‘Oh no, not more cakes!’ No one could escape the madness and fun that was Red Nose Day. Overall the employees raised £1600 with the company rounding this up to a wonderful £2000 for Comic Relief.